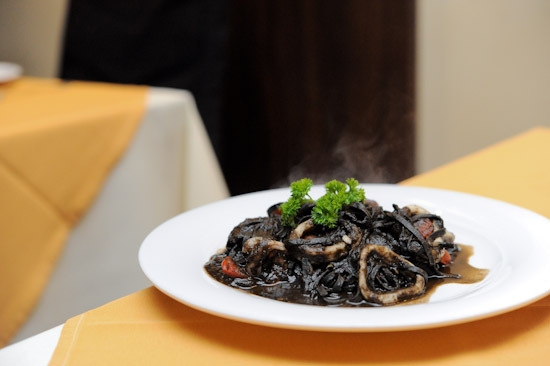 Italian food is one of the most popular cuisines in Singapore. Given that there are so many Italian restaurants in town, sometimes it is really difficult to choose one for dinner. 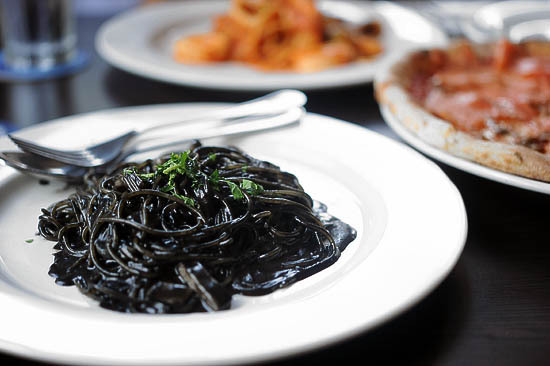 Here’s my list of the best Italian Restaurants in Singapore. I will go straight to the point: The buffet lunch at Basilico restaurant is one of the best, if not the best, in the $40-50 category. I like Basilico Italian restaurant. Though the buffet spread is slightly limited, the restaurant more than makes up for it with the quality of the food. The antipasto counter, in particular, has fantastic choices. On Saturday, Basilico has a full Italian buffet (without local spread) for $46++/pax, $56 (free flow juices & soft drinks) and $98++ (free flow prosecco & wine). And on Sunday, they have a Champagne Brunch at $139++ for free flow of champagne and wine. During dinner, it is a semi buffet where you can enjoy the same antipasti & desserts buffet with the choice of 1 main course at $69++. And one more thing, reservations are absolutely necessary. When people ask me to recommend an Italian restaurant that serves good food at reasonable prices, my answer will always be: Bella Pizza at Robertson Quay. It is my to-go place when I am craving for a hearty Italian dinner of pastas and pizzas. Da Paolo Bistro Bar at Rochester Bar is a cross between their restaurant and pizza bar. The restaurant has two open kitchens, with the pizza bar being positioned near the entrance of the restaurant and the main kitchen on the further end. It has a very extensive pizza menu, and is a nice place to go with a group of friends for dinner. Whereas Da Paolo at Rochester Park has a huge al fresco dining area surrounded by greeneries, Da Paolo La Terrazza is slightly smaller with options of eating indoors for a more formal dinner, or dining at the tranquil al fresco area where you sit along the tree-lined street. If you are having dinner at Chip Bee Gardens, check out Da Paolo La Terrazza. Singapore has no shortage of good Italian restaurants, but it is not easy to find a pocket-friendly option. After having dinner at Etna Italian Restaurant & Pizzeria at Duxton Road, we are happy to share that it is one of the places you should check out for pizzas and pastas. 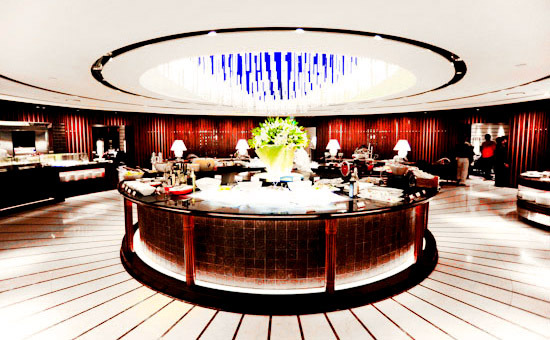 Il Cielo is located on the 24th floor of Hilton Singapore, right beside the pool. It is a small, cosy and intimate restaurant where you can get exceptional food and service. Il Lido Italian Dining at Sentosa Golf Club is a restaurant that has consistently been voted as one of the best restaurants in Singapore, and it is frequently praised for the quality of Italian food. Compared to its sister restaurant, Forlino at One Fullerton, il lido Italian restaurant is slightly more casual – think of it as a semi fine dining restaurant that comes with everything you would expect from a top-notch restaurant. La Cantina in venezia is located on the 8th level of Changi Village Hotel and it has a very classy yet soothing ambiance. The Italian restaurant is ideal for a quiet lunch, or a romantic dinner with your date. 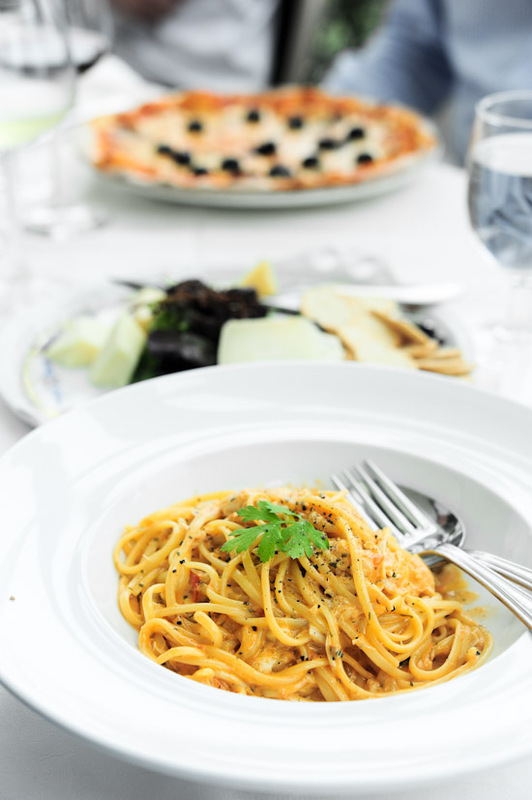 It is one of my favourite Italian restaurants, and I would go so far as to say that they have the best Linguine Al Granchio (crabmeat linguine) in town. If you are having lunch at Holland Village, you must go to La Nonna. They have an ongoing 50% off pasta/pizza lunch promotion on weekdays, which is absolutely a steal. 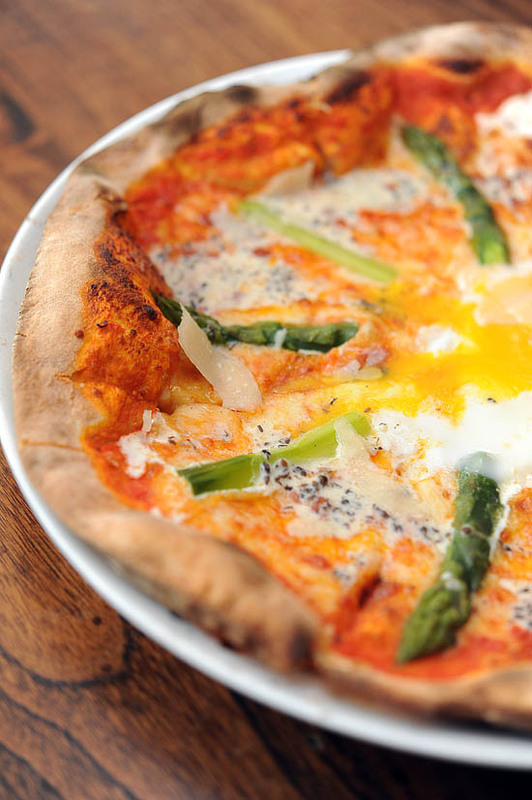 Pizzeria Mozza by Mario Batali is probably the most affordable option amongst the Marina Bay Sands celebrity chefs’ restaurants. The pizzas on Pizzeria Mozza’s menu are priced between $18 to $38. I’d think this is extremely good value given that most of the pizza restaurants in Singapore charge around the same price for a pizza. Is Pizzeria Mozza the best pizza restaurant in Singapore? I don’t know… It is really hard to say since there are so many pizzerias in Singapore. But I think it is definitely among the best. 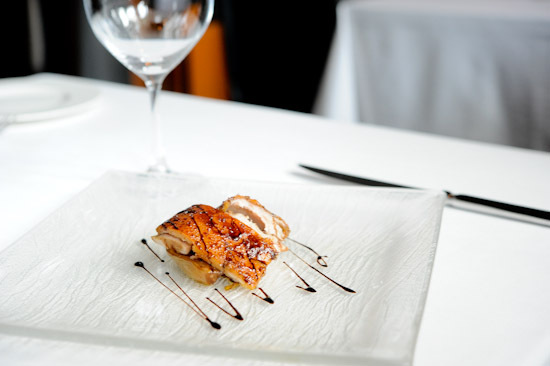 Helmed by Chef Michele Pavanello and housed at the corner of the Red Dot Traffic Building sits OTTO Ristorante. This classy, unpretentious establishment serves amazing Italian fare with a new-age influence. It’s a great place to have a business lunch, bond with the family over a good meal or even for a romantic night out. f you’re looking to try an Italian restaurant that’s authentic and classic with a modern twist, Otto Ristorante is a great place to head to (if you haven’t already). I assure you it most likely won’t be your only visit. Pasta Brava Italian Restaurant at Craig Road has been around for a long time. I’ve been told that they are worth a visit by many friends, but it took me until now to go there. I guess it’s better late than never, and I am really happy to tell you that it has joined the ranks as one of my favourite Italian restaurants in Singapore. I’ve always walked past Prego Italian Restaurant when I am at Raffles City, but for some reason I never visited it. I finally had the chance to eat there, and I was pleasantly surprised to find that this was one of the better ones that I’d tried in recent months. Ristorante Da Valentino at The Grandstand is our favourite Italian restaurant in Singapore. Despite the tough competition in the local food scene, Valentino has remained as one of the top tables. The food is always consistently good, and you can always look forward to have a great meal here. To kim: chilis ??? I’ve only been to the one at resort world and it was terrible. Incompetent service, wrong orders and very expensive for fast food quality. I think you shall try La Forketta on Nasim and Tanglin Road. Its food is superb, consistent and it is a pity you do not include it on your list. I am telling this as an Italian myself! Hmm not so sure about Pasta Brava..quite so-so but Mozzas,Valentinos and Otto are definetely top there. I tried out a new place called Pizza Fabbrica at Bussorah street and the truffle Risotto was simply amazing and my friend had their pizza which was great too.Loved the wine by the glass selection..